Microsoft founder Bill Gates is set to depart as an employee of Microsoft by this months' end, leaving the reigns to long time buddy Steve Ballmer. 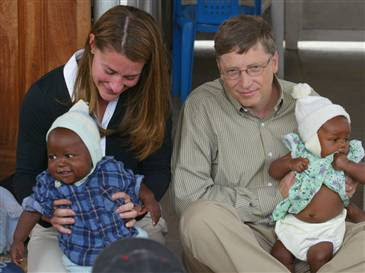 And while Gates remains most famous for his ability to turn Microsoft into a global technology empire, and himself the richest man on the planet, his most respected legacy will probably be his work with the Bill and Melinda Gates foundation. The foundation has delved out hundreds of millions of dollars for everything from health and education to grants for developing farming in poor countries. In his continuing effort to use his resources for global change, Gates just made an announcement that will guarantee the good work continues to be done after his departure (not Microsoft, his life that is). The 52 year old promised to donate a whopping $58 Billion fortune all to charity in his will. No doubt, $58 Billion, can sure buy a whole lot of positive contribution. Good going Bill!